This summer I was fortunate to be able to attend the annual conference of the Guild of Natural Science Illustrators at the lovely Evergreen State College in Olympia, WA. I am very grateful to the Access Copyright Foundation for the Professional Development Grant I received to help fund my trip. 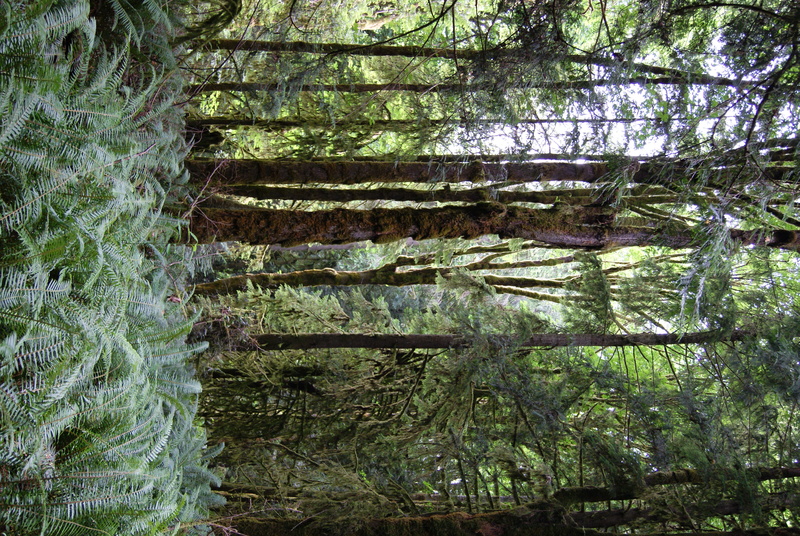 The College is located in a forest of moss and lichen-draped trees surrounded by numerous large ferns. At every opportunity, I explored the forest on the nearby trail that led to a rocky beach. Always on the lookout for science illustrations, I noticed this interpretive sign at the Visitor Center in Nisqually Wildlife Refuge during a field trip. Evidently the mud swallows nesting above it have no regard for the ducks and otters. One of the workshops in which I participated involved sketching live raptors. This photo shows one of our models, Helly, with feathers a bit ruffled (literally and figuratively) because of the proximity of one of the other models, a Great-Horned owl. The owl, Sweetums, was three-and-a-half months old. Secured to the glove she was of course no threat to Helly. Another interpretive sign that caught my eye was this clever interactive relief illustration. It’s a neat idea to suggest that people take a rubbing of the image so they can identify the plant while in the park. It’s too bad I didn’t have paper and pencil with me to try it out. I spent most of the week watching presentations and attending workshops, but I only brought my camera to the bird-drawing workshop and the field trips. It was a very worthwhile trip and I hope another ten years doesn’t pass before I’m able to attend another GNSI conference. Thank you, Access Copyright Foundation!